University of Georgia Press, 9780820341729, 400pp. Challenging the conventional understandings of literary naturalism defined primarily through its male writers, Donna M. Campbell examines the ways in which American women writers wrote naturalistic fiction and redefined its principles for their own purposes. Bitter Tastes looks at examples from Edith Wharton, Kate Chopin, Willa Cather, Ellen Glasgow, and others and positions their work within the naturalistic canon that arose near the turn of the twentieth century. Campbell further places these women writers in a broader context by tracing their relationship to early film, which, like naturalism, claimed the ability to represent elemental social truths through a documentary method. Women had a significant presence in early film and constituted 40 percent of scenario writers--in many cases they also served as directors and producers. 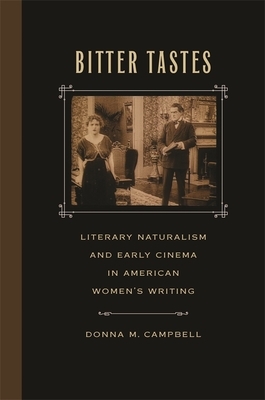 Campbell explores the features of naturalism that assumed special prominence in women's writing and early film and how the work of these early naturalists diverged from that of their male counterparts in important ways. Donna M. Campbell is a professor of English at Washington State University.